One taste of these tender and delicious cinnamon rolls and you’ll never go back to store-bought again. 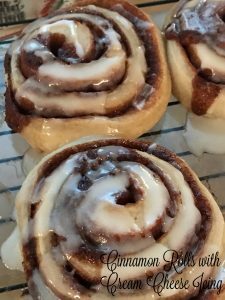 Never made cinnamon rolls before? Well, this is as good as time as any to get started! 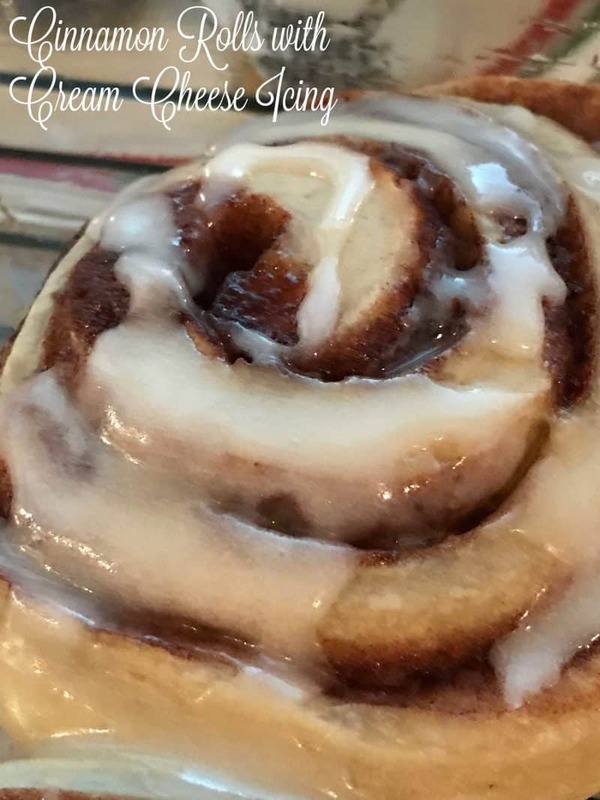 Cinnamon rolls take some time to make, allowing for the “roll” time and “rise” time but they are so worth it. 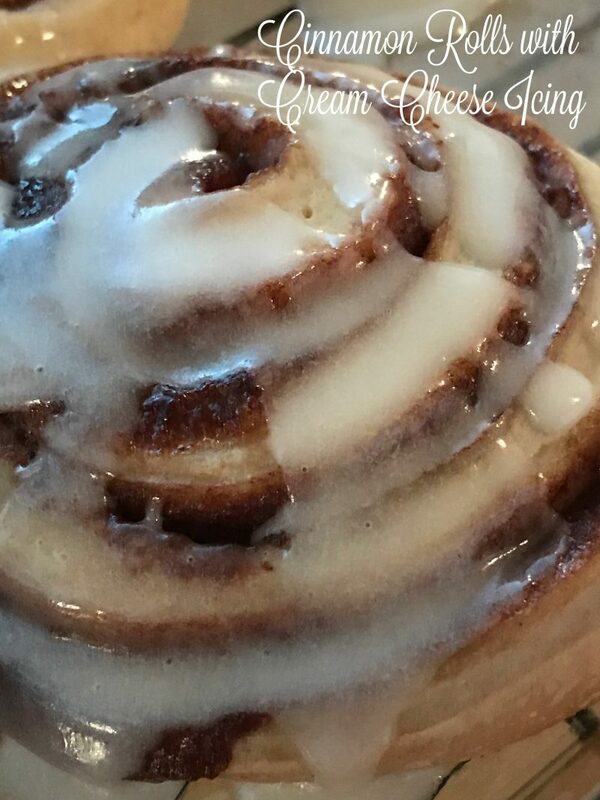 Nothing compares to home-made, hot from the oven, cinnamon rolls dripping with cream cheese icing. 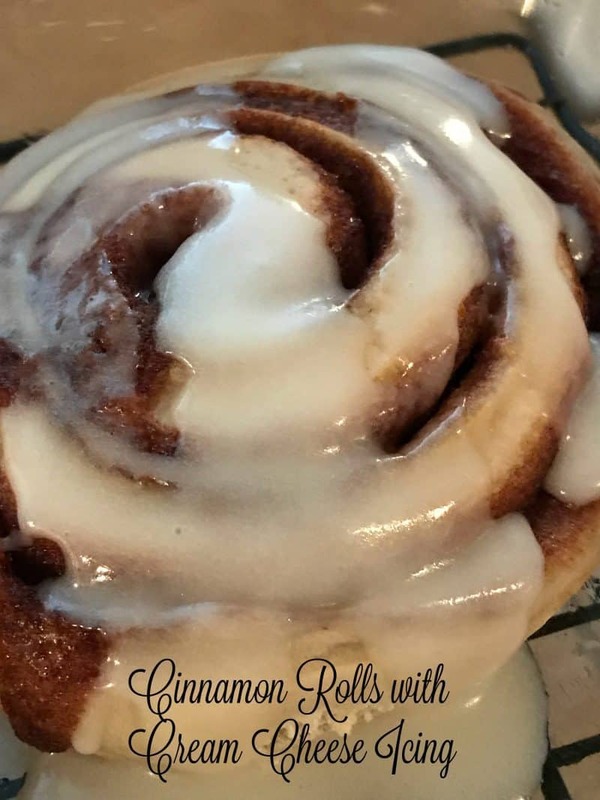 Home-made cinnamon rolls are the best! They aren’t bread-y or bun-y like store-bought rolls. I like cinnamon rolls that are yeasty, cinnamony and have a nice ratio of cinnamon to roll. 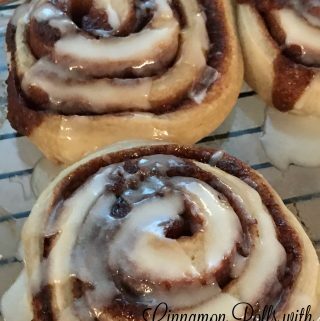 The cinnamon rolls that you buy and come in those flimsy metal pans, should really be called “cinnamon breadbuns.” Cinnamon rolls should be light and fluffy with a hint of cinnamon, not thick and doughy. Icing or Frosting? This really comes down to a personal preference. Some like a thick layer of vanilla or cream cheese frosting and some prefer a thin layer of vanilla or cream cheese icing. I prefer the latter, a thin layer of cream cheese icing…dripping down the sides and pooling in the crevices on the top. I know people who say that they don’t like cinnamon rolls..really? I’m pretty sure the haven’t had a “real” cinnamon roll. Here on Turnips 2 Tangerines we do love and use cinnamon rolls that come in tubes that are located in the refrigerated section of most grocery stores. 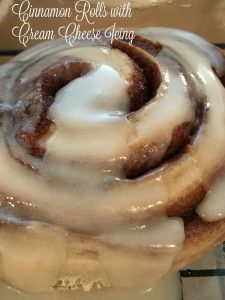 We have made Cinnabunnies using Pillsbury Cinnamon Rolls which my grandkids loved! One taste of these tender and delicious cinnamon rolls and you'll never go back to store-bought again. Combine first 3 ingredients in a 1 cup glass measuring cup; let stand 5 minutes. Beat 1/2 cup softened butter at medium speed with a heavy-duty electric stand mixer, using paddle attachment, until creamy. Gradually add 1/2 cup granulated sugar and 1 teaspoon salt, beating at medium speed until light and fluffy. Add eggs, milk and lemon juice, beating until blended. Stir in yeast mixture. Combine 4 1/2 cups bread flour and 1/4 teaspoon nutmeg. Gradually add to butter mixture, beating at low speed 1 to 2 minutes or until well blended. Sprinkle about 1/4 cup bread flour onto work surface; turn dough out, and knead 5 minutes, adding additional bread flour as needed to prevent dough from sticking to hands and work surface. Place dough in a lightly greased large bowl, turning to grease top of dough. Cover and let rise in a warm place, free from drafts, 1 1/2 to 2 hours or until doubled in bulk. Meanwhile, place chopped pecans in a single layer in a shallow pan. Bake at 350 for 8 to 10 minutes or until toasted. Punch dough down; turn out onto a lightly floured surface. Roll into a 16 x 12-inch rectangle. Spread with 1/2 cup very soft butter, leaving a 1-inch border. Stir together brown sugar, cinnamon, and remaining 1/2 cup granulated sugar and sprinkle evenly over butter. Sprinkle with toasted nuts and drizzle top with maple syrup. Roll up starting at long end; cut into 16-equal slices. Place rolls into 2 lightly greased 10-inch round pans. Cover and let rise in a warm place, free from drafts, 1 hour or until doubled in bulk. Bake at 350 degrees for 20 to 25 minutes or until rolls are lightly browned. Cool in pans 2 minutes. Brush warm rolls with Cream Cheese Icing. Recipe Follows. Beat butter and cream cheese at medium-speed with an electric mixer until creamy. Gradually add powdered sugar, beating at low speed until blended. Stir in vanilla extract and 1 tablespoon milk. Add remaining 1 tablespoon of milk, 1 teaspoon at a time as needed, until icing is smooth and creamy. The extra time and effort it requires to make these Cinnamon Rolls is well worth it. They are delicious!